The US online poker landscape consists of one dominant leader (Bovada) and several smaller poker networks competing for the second position. While the selection of US-friendly sites is significantly smaller than it was, say, a decade ago, you still have a few solid options to choose from – here’s what you need to know about them. Here will see the Best US Poker Sites and their networks. All of our recommended sites have a proven track record and enough player traffic to keep you busy. It’s worth noting that those physically located in Delaware, Nevada or New Jersey are able to play on licensed sites that are 100% legal and regulated. The sites below are popular in the US but operate from offshore locations. They continue to accept US customers but have no licenses to operate in the US. They’re also the only options for those living outside of Delaware, Nevada and New Jersey. America’s Cardroom and True Poker are two of the biggest US poker sites in the Winning Poker network. They’ve been around for a long time and even though they’re relatively unknown compared to all-in-one US gambling sites like Bovada and BetOnline, they’ve got a strong reputation for being reliable and on-time with cashouts. All sites in the Winning Poker Network prohibit customers from Louisiana, Nevada, Missouri, New Jersey, New York and Washington DC. And winning Poker is only compatible with Windows. Winning Poker network’s poker rooms offer their customers either 27% rakeback for all the rake they’ve generated (you get 27% of what the poker room has taken as rake back to your account) or a chance to participate in the VIP program which was made according to PokerStars’ model (a good idea, considering how PokerStars has the most successful VIP program ever). In fact, the VIP program does exactly what it’s supposed to (encourage you to play more) and makes sense for more active players. New players will also receive a 100% first deposit bonus up to $1000. Both America’s Cardroom and True Poker are known for processing check withdrawals fast relative to competition – I can’t confirm if the rest of the sites on the network do the same, but then again I recommend signing-up at the better-known sites anyway. Winning Poker also accepts bitcoin deposits and withdrawals. Player-to-player transfers are allowed as well, making Winning Poker’s money transactions relatively flexible in the US. What are the reasons NOT to sign-up at one of the websites on Winning Poker’s network? Bovada is the #1 option due to highest player traffic, fastest cashouts and best software. In other words, Winning Poker network has less traffic (1/4 of Bovada’s traffic), slightly slower processing of withdrawals (although only by a couple of days) and its software still showcases buggy behavior here and there (more-so than Bovada). Furthermore, Winning Poker is unavailable for iOS and its mobile client only runs Jackpot sit and go tournaments. Overall, Winning Poker is a fine network, and its flagship sites Americas Cardroom and True Poker have treated their customers well throughout the years. There are better options out there – such as Bovada – but if you’re looking to sign-up at a few site to catch the best games, it would make sense to be able to play on this network as well. Best US Poker Sites for the Chico Poker network are the flagship poker rooms BetOnline and SportsBetting, both of which accept customers from all the states (as the only sites doing so). Chico Poker also has TigerGaming and PayNoRake poker rooms but they only accept customers from outside of the US. One of the clear advantages of playing on this network is its recreational-friendly customer base, as BetOnline and SportsBetting both are better-known for their sports book and even casino games which you can participate in with the same player account, so there’s a constant stream of traffic stemming from other parts of the site which are more prone to recreational players / gamblers than poker rooms in general. New customers at BetOnline get a 200% deposit bonus up to $1000 on their first deposit while SportsBetting offers a 200% up to $2500. BetOnline draws a decent amount of multi-table tournament players due to their MTT Leaderboard Challenge and (sometimes) huge tournament overlays (meaning the guaranteed prize pool is much bigger than what players have paid in entrance fees). For beginners, there are real-money freerolls every hour. What about the downsides of playing at Chico Poker network? It has the third highest traffic in the US, meaning you’ll find more opponents at Bovada and Winning Poker. The software is not that easy on the eye and slightly buggy, unlike Bovada’s software which is the best in the US market. Withdrawal-processing is an important thing for US customers as a check withdrawal is usually the only way to go. Relative to competition, Chico Poker still has work to do. BetOnline processes cashouts are reasonably fast (a little over two weeks) but still slower than Bovada or Winning Poker. The minimum limit for BetOnline withdrawals is $100 and fees are $40 per withdrawal at minimum. SportsBetting offers a 2-day (business days) withdrawal option where they take a 8-10% cut of the withdrawal amount. There are no player-to-player transfers at Chico Poker. Full Flush Poker is the flagship site in the Equity Poker network, which has been operating since 2013. Equity has done well considering how new it is and is now the fourth highest-trafficked US-friendly poker room. They constantly have attractive multi-table tournament overlays, which means they guarantee a bigger prizepool than what participating players have paid in entry fees. For multi-table players, Equity Poker offers an interesting chance to play profitably. Equity is Mac-compatible, unlike Winning Poker and Chico Poker. Players from all over the US are accepted except for New Jersey, Delaware and Nevada. What some tournament players dislike is their low buy-in tournament selection. For smaller buy-ins – as mentioned – they offer good opportunities for profitable play, but the selection is rather limited for bigger buy-ins (this goes for both multi-table tournaments and sit-n-go tournaments). Equity Poker has reasonable check withdrawal times: a little over two weeks. Interestingly, bitcoin transfers are available only to customers outside of the US. There are no player-to-player transfers allowed. Carbon Poker and Sportsbook.ag are the sites representing Merge Gaming network. Merge is on the crisp of being a decade in the business and has steadily grown throughout that time. It had a strong position in the US poker market by having the second-highest traffic numbers, however, it has recently had payout issues due to which the network fell into the fourth position traffic-wise. Aside from the payout issues, Merge Gaming’s traffic suffers due to prohibiting customers from 11 states: Delaware, Utah, Kentucky, Louisiana, Maryland, Missouri, New York, Washington, Nevada, New Jersey and Washington DC. Merge Gaming poker rooms offer a seemingly attractive 200% up to $5000 first-time deposit bonus. However, even though size-wise it seems like a good deal, the bonus is relatively harder to clear than what Merge’s US competitors offer. All-in-all, especially considering the recent payout issues and the decrease in traffic, the options mentioned above currently offer US players much better value for their money. The following are some common question that any person could have at any moment regarding several important topic for US players. If you believe there is a question that should be solved or that you have a specific question in mind not solved here please contact us. Why Are There Sites Specifically for the US? Not all sites are willing to accept customers from the US due to legal reasons. 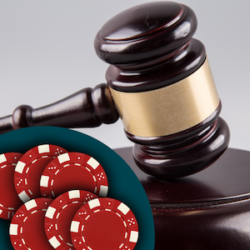 Due to the Unlawful Internet Gambling Enforcement Act (UIGEA), gambling operators are prohibited from knowingly accepting payments related to unlawful gambling. And since, from our point-of-view (and, apparently, plenty of gambling operators agree), online poker is illegal in most states, the majority of online poker operators have decided to target other legally safer markets. The same is true, although to a smaller degree, in the U.S. online casino market. Due to the UIGEA, it’s also harder for internet poker operators to find reliable payment processors. This adds greatly to the difficulty level of operating an online poker site and contributes to the willingness of sites to stay away from the USA market. How Can US Players Deposit Money to the Best US Poker Sites? There are still ways to deposit money to United States online poker rooms, and our guess is that pretty much everyone can do it if they want to. Still, US citizens will experience more hurdles when depositing money to internet poker rooms than those outside of the US, excluding those physically located in Delaware, Nevada or New Jersey. All of the Best US Poker Sites we’ve seen accept Visa card deposits (with the exception of Bitcoin-only sites). Mastercard is available at some of them while American Express is a rare sight. Card deposits are known for not going through every time (this goes for credit, debit and gift cards). The only way to find out if a card works is to try to deposit and see what happens. It’s likely (if not certain) that you have to withdraw your poker winnings as a check if you made the deposit with a credit card. This is the case at all the US-friendly sites we can think of. Most sites accept Western Union. I recommend paying attention to whether you can both deposit and withdraw the money via a money transfer service (in some cases, a USA poker site only allows you to deposit). If money transfer cashouts are unavailable, you’ll have to order a check withdrawal. This option is no longer available at any of our trusted US-eligible online poker sites. Since there’s no federal law that either legalizes or prohibits online poker in the US, you have to look at state laws. And in most cases, it’s likely (“likely” because we’re not lawyers and have never studied law) that online poker is illegal in most parts of the US. Many state laws target poker on the internet indirectly by making all forms of gambling that haven’t been specifically legalized, well, illegal. Three states have legalized, regulated and licensed internet poker and those are Delaware, Nevada and New Jersey. They’re the only states in which you can be 100% legally safe when playing poker on the internet. Why are so many still playing online if it’s illegal to do so in most parts of the United States? Laws against playing poker online for real money haven’t been enforced – yet, at least. So far, only the ones operating gambling businesses or acting as payment processors between players and gambling businesses have been in trouble with the law.